WASHINGTON—Expressing a sense of guarded optimism that the latest incident of gun violence that left 58 dead and 500 injured in Las Vegas would be a turning point for the nation, Americans across the country confirmed Monday they were hopeful this would be the last mass shooting before all such occurrences stopped on their own for no reason at all. 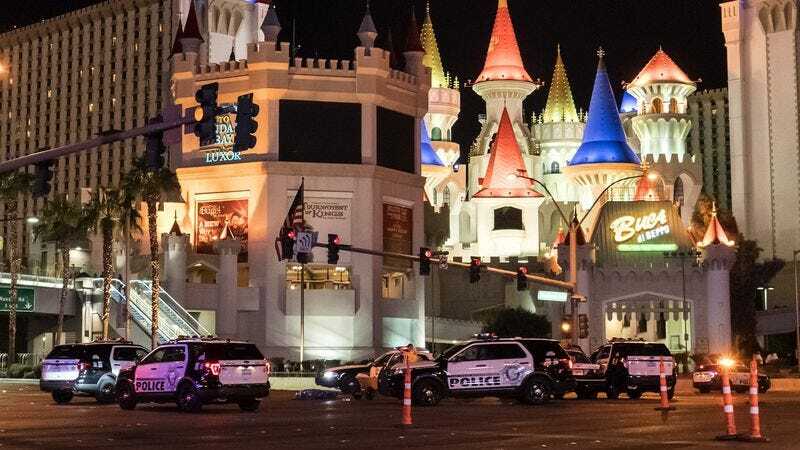 “After something as horrific as what happened in Las Vegas, we’re all just hoping that now these terrible shootings will stop once and for all without circumstances changing in any way or any of us taking even the slightest amount of action in response,” said Harrisburg, PA resident David Snyder, echoing the sentiments of tens of millions of citizens from coast to coast who told reporters they were confident that, after living through the most deadly mass shooting in modern American history and taking no material steps to change gun laws, reevaluate safety standards, increase access to mental health care, or even have a national conversation about how mass shootings could be avoided in the future, tragedies of this kind would at long last come to an end. “Having seen acts of violence like this happen over and over again for years now, I’m really holding out hope that, despite every single factor that allowed them to occur remaining exactly the same, we won’t have to live through another day like today. I know everyone’s praying this will finally be the time this issue just disappears forever entirely by itself without anyone doing anything.” At press time, Americans nationwide agreed that years of taking no measures whatsoever to prevent mass shootings may finally be paying off.